We Are Not Just PERSONAL TRAINERS, We Are Professional Health & Fitness Coaches. Experience the Difference! Bill is an exercise specialist with over 20 years of comprehensive work in fitness management and exercise prescription within the health and fitness industry. 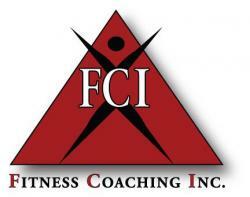 Bill is the CEO of Fitness Coaching, Inc., a health and fitness management and consulting company that specializes in facility design, management and wellness coaching for corporations, hospitals, organizations and indivduals. He has designed and equipped seven fitness centers including the Morristown Memorial Hospital Fitness Center. Bill designed, built and managed all areas of facility operations from 1997 to 2006. As the former owner of Fitness Unlimited Training Center, Bill managed 30 employees and serviced over 1000 clients. Bill holds a Masters Degree in Fitness Management, an undergraduate degree in Nutrition and Business and a National Certification in Personal Training. He has 20 years of advanced coursework and continuing education workshops and was an adjunct Professor at County College of Morris. An engaging motivational speaker, Bill has provided health and fitness seminars to corporations, hospitals and schools and has been a guest speaker on TV and Radio shows. Bill has extensive experience with personal training working with a variety of populations including deconditioned adults, overweight youth, post-rehab injuries, post cardiac patients and beginner to world class athletes. An All-American Athlete, Bill was inducted into his College Hall of Fame for Wrestling. Bill enjoys coaching his children in soccer and wrestling and is active in running, mountain biking, kayaking and adventure racing.